The book is split into 6 sections. 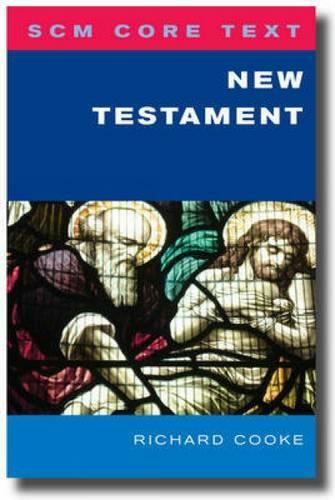 In the first part the author sketches out the approach, arguing that the New Testament reflects four streams of apostolic tradition, reflected in the 4 gospels. In parts 2-5 the author looks at each tradition in turn, and the final section focuses on Jesus. There are clear bibliographies at the end of each section to guide the reader to the most relevant areas for further research in any given subject area. The text is deliberately broken down into smaller sections with headings and sub-headings to assist students reading around this subject for the first time. It also contains end of chapter lists of questions for personal reflection which can also be used in tutorial groups and for revision, textboxes, introductions and chapter summaries, as well as a Whos Who in the New Testament. Where most introductions will follow the pattern established for the Bible as a whole, by examining the different types of writing, this book tries to do something different and cover both the history of the New Testament era as well as the literature which testifies to it.